I used the Artisan Skin Balm to treat greasy heel on the white sox of my German Riding Pony colt, I applied it daily as soon as the greasy heel appeared, and the scabs peeled off in 2 days. I was amazed at how quickly this balm worked. 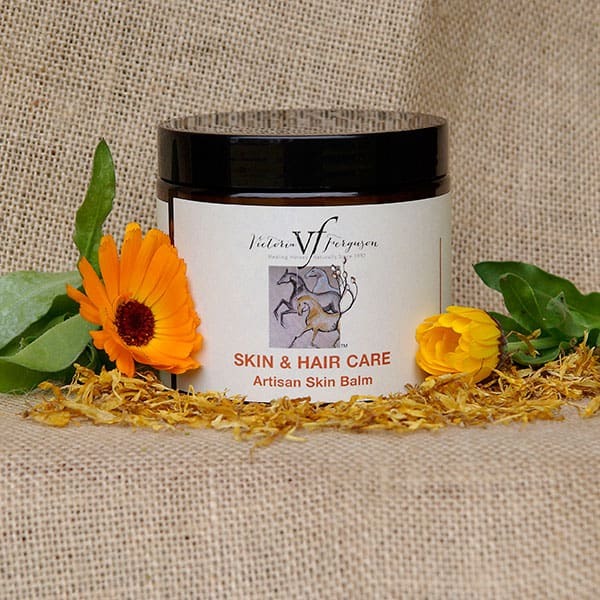 Artisan Skin Balm is hand made by infusing organic Calendula petals and Hypericum flowers into organic olive oil, then blended with a little beeswax and Garlic Essential Oil. Use as a physical barrier protecting skin irritations, abrasions and wounds against flies, contamination and infection. Designed to treat mud fever, greasy heel, Qld Itch, rain scald, bites, scratches, burns, cuts and minor wounds.